1. Fast refrigerated bottled beverages. Keep your red wine cool without dilution. 2. The perfect circle is much smaller than the surface area of a conventional ice machine. 3. Leave a lot of space in the freezer. Use a gas tight lid to keep your cube fresh and smell-free. 4. External room frozen ice. The inner cylinders store them. 5. 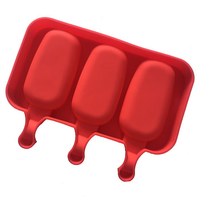 Unique dual-chamber design that Silicone Ice Bucket can hold up to 120 ice cubes. 6. Easy to use, simply fill and store ice cubes. 7. Portable, equipped with a lid and non-slip bucket for easy carrying. 8. Made of food grade silicone. No BPA and dishwasher safe. Certification: CE / EU, CIQ, LFGB, FDA. 9. Suitable for many places and drinks, suitable for families, houses, bars, cafes, hotels, restaurants, parties, buffets and so on. Provides longer cooling for whiskey, cocktails, drinks, etc. Fast refrigerated bottled beverages. Note: When you have finished the water, please put it in the refrigerator immediately and you also need to press the middle bucket to reduce the gap and to avoid the water flowing into the middle bucket. Water seepage in a barrel is a normal phenomenon. We handle molding, sample, producing, printing, flame plating, laser carving, packing and shipping. Copyright 2018  MX Group Holdings Limited. All rights reserved.